Our Shed joins some 450 or so such enterprises in the UK. The Sheds are community spaces for people to connect, converse and create. 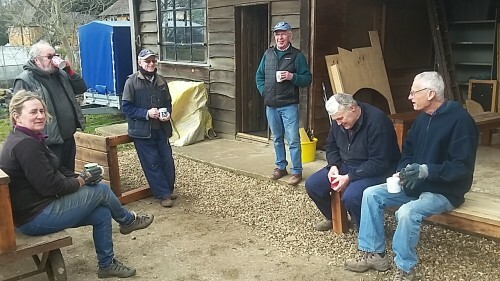 The activities are similar to those of garden sheds, but for groups to enjoy together. 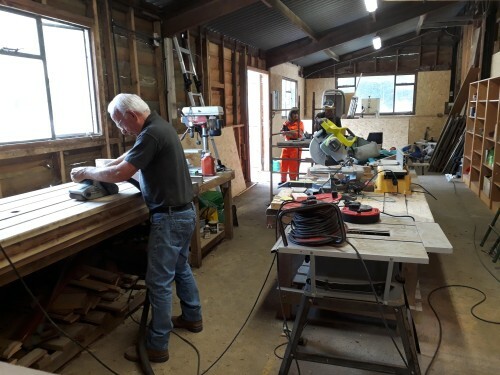 Like many others, our Shed is open to men and women and initially our activities will be based around woodwork and we also have a small garden. Other activities can be developed in future in accordance with members' interests. We currently have a loyal membership who meet weekly but we always welcome new members. Photos in the Gallery show progress so far, and future plans for the Shed are outlined on the 'About Us' page. To contact us to enquire about membership or to visit us to have a cup of coffee and see what we are doing, go to the Contact-us page. You can be sure of a warm welcome. The Shed has to be completely self-sufficient by raising funds from carrying out work for organizations that might support it, by making goods to sell and from grants or private donations. Find out more about us here. We are members of the . The local branches of the Co-Op are sponsoring us for one year until October. Customers who register on the web site will generate 1% of the money they spend for the Shed. So if you shop at the Co-Op please consider signing up here.